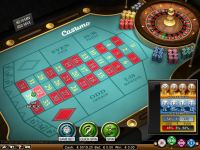 Net Entertainment, also known as NetEnt, was founded in Sweden in 1996, making them one of the first providers of Internet casino software. They are traded publicly on the Stockholm Stock Exchange under the symbol NETB:SS. 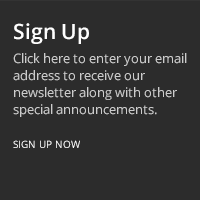 As far as I know, NetEnt offers a Flash casino only. 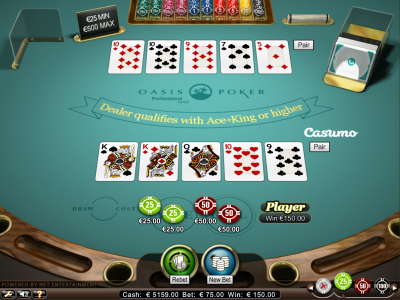 The Flash casino has a live dealer option. 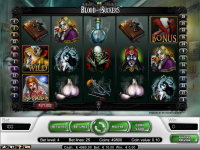 In my opinion, NetEnt's greatest strength is slots. There are dozens to choose in fun themes and with quality artwork, and they are made to play like the machines in Vegas. The table game selection could be better. The options are sparse and not representative of player interest. For example, they offer Red Dog but not craps. I think the table games could also stand to play a little faster. If you like scratch cards, you'll be happy to find several to choose from. 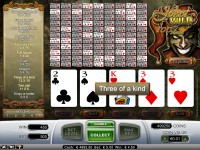 NetEnt is friendly to low limit players. 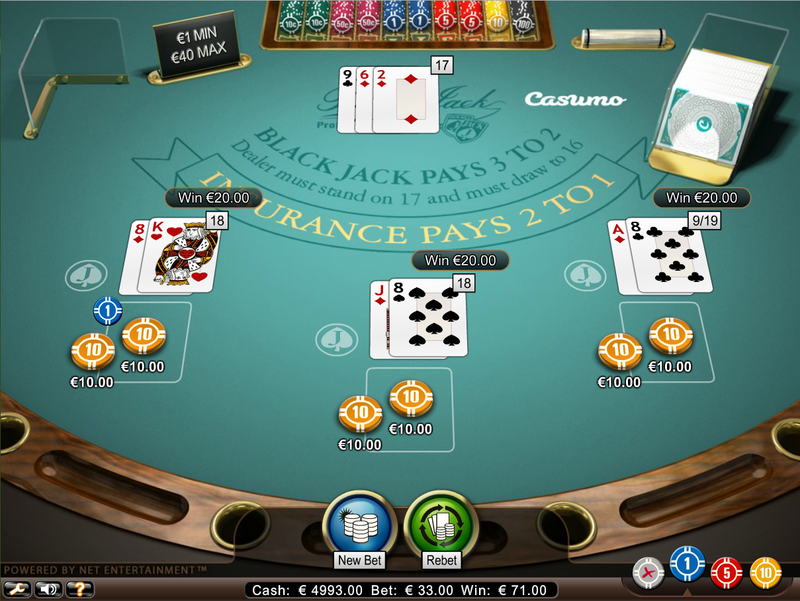 For example, in blackjack, the bet range when I did this review at the Casumo casino was €0.1 - €500. 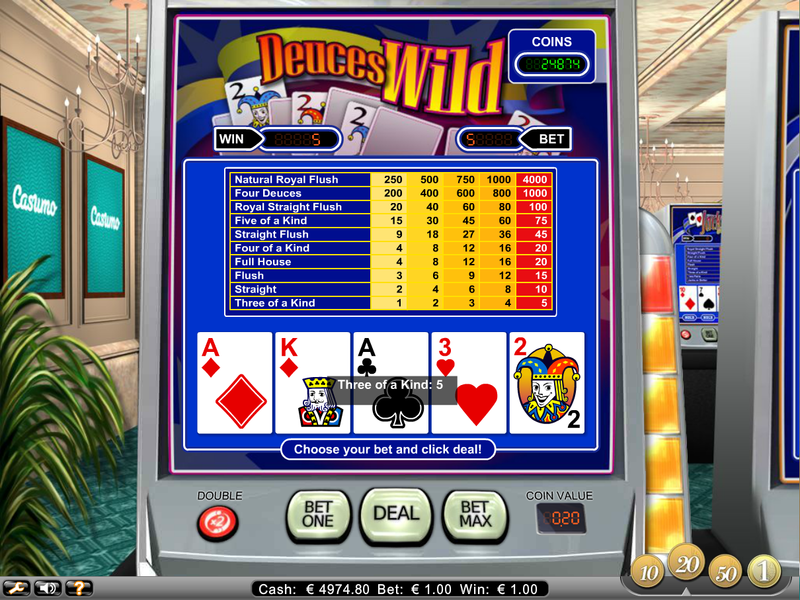 In single-line video poker, the denomination ranged from €0.1 - €100. 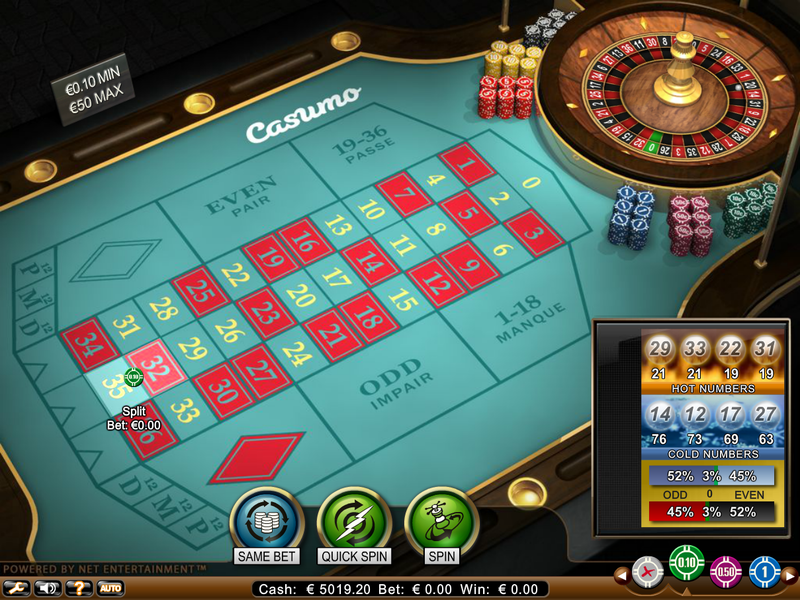 With the table games, there are often multiple versions, according to whether the player is a small, medium or large bettor. Whomever designed the games for NetEnt did a fine job. 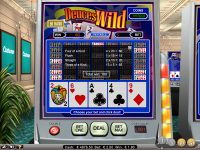 The rules are what you might find in a land casino in Vegas, and the odds are generally competitive. 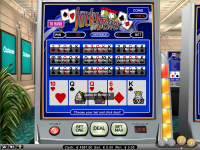 If you click the question mark on any game, you'll not only find the rules but the theoretical return of the game, including on slots and scratch cards. 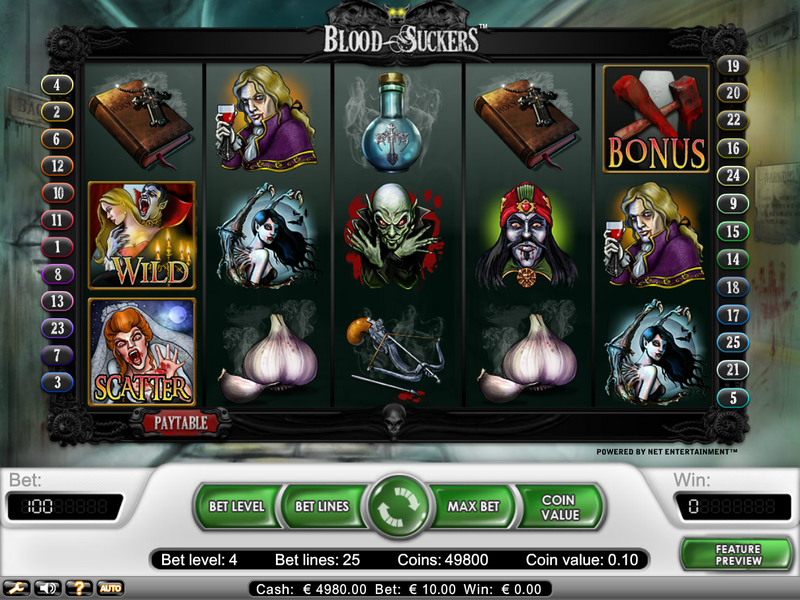 Few casinos reveal the return of their slot machines, so I commend NetEnt for their transparency. As usual, I'll go through the games one by one and give you the NetEnt rules, odds, and strategy tips. There are two versions of baccarat, one just called "baccarat" and the other "punto banco." 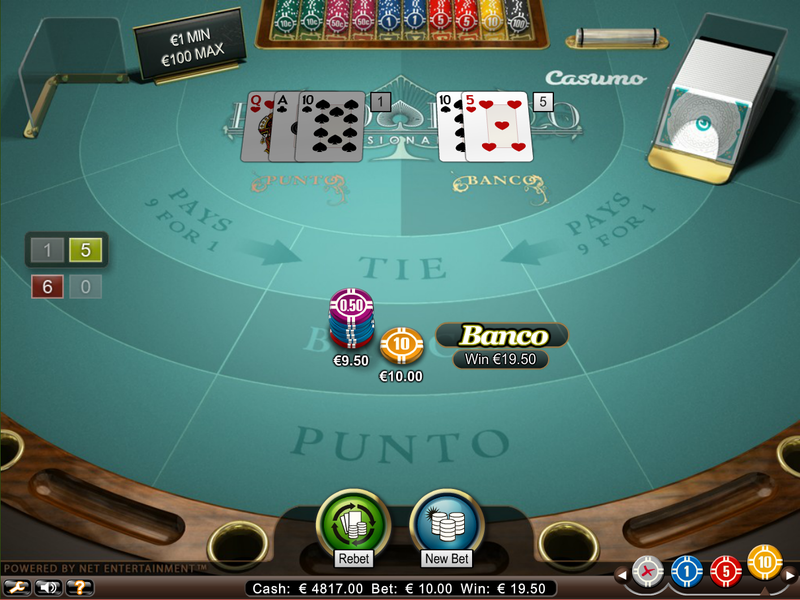 The only difference is baccarat uses eight decks and punto banco uses six. The difference between six and eight decks make a slight difference in the odds. The following table shows the house edge for all three bets under both games. The player may buy up to three strips of cards for €2 each. Each strip has three cards, and each card has 25 numbers without a free square. 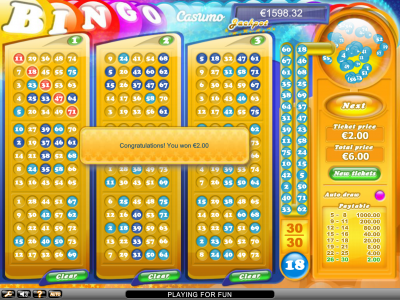 The player is paid according to how many balls it takes, up to 30, to form a bingo. The game always draws 30 balls and pays for all bingos formed, even multiple bingos on the same card. I took the trouble to work out the math. The following table shows the expected win per card. The return column is the product of the win, probability, and 18. 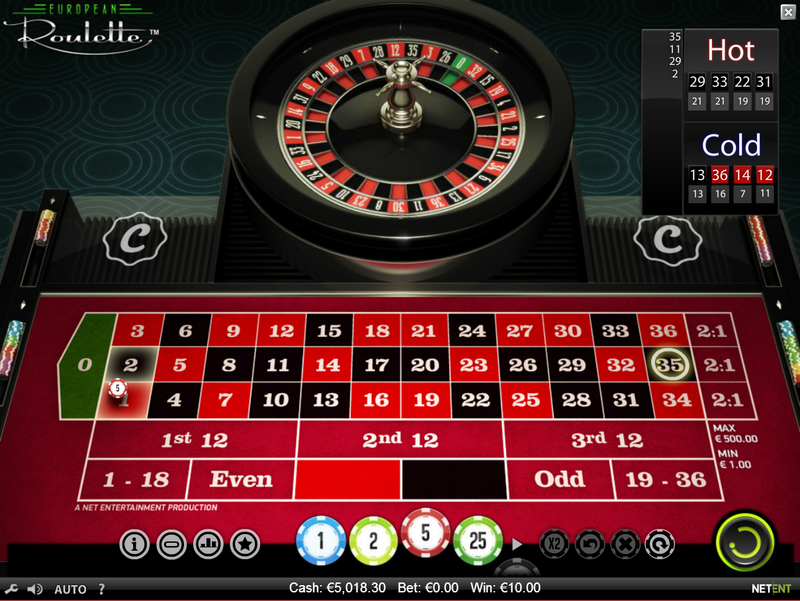 The reason for multiplying by 18 is the player gets 36 possible ways to make a line per €2 bet, or 18 lines per dollar. 5 to 6	 Jackpot	 0.00000035	 ? Total	 0	 0.00825672	 0.87308717 + ? As you can see, the fixed returns contribute 87.31% to the return. 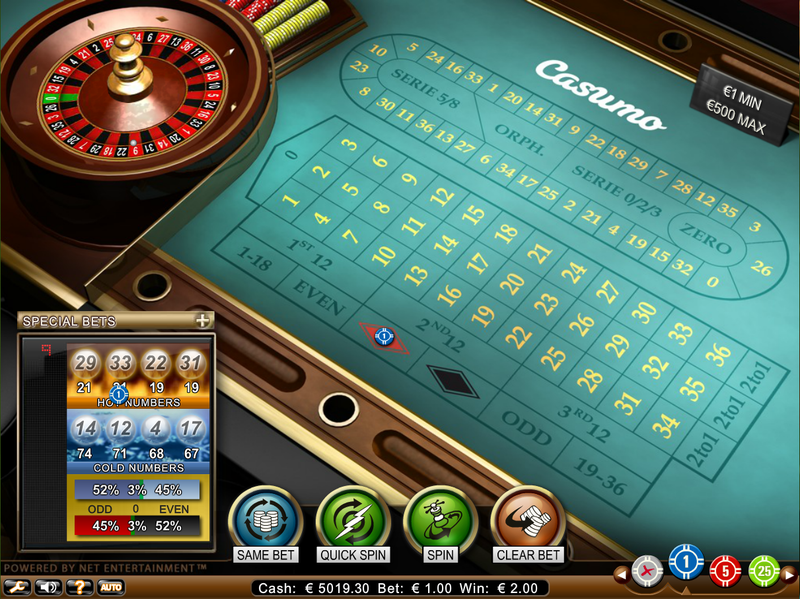 The additional return per €1,000 in the jackpot meter is 0.63%. The break-even meter, where the return is exactly 100%, is at €20,281.83. According to the game rules, the overall return is 90%. 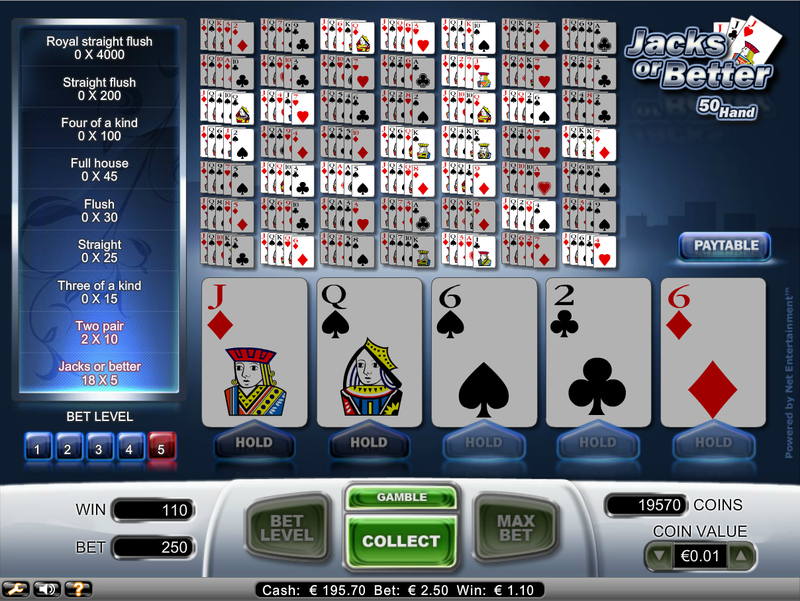 This section shall include conventional blackjack as well as other blackjack variants. 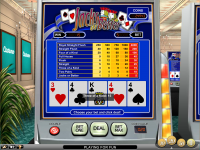 Using my blackjack house edge calculator, the house edge is 0.44%. To the right is the appropriate basic strategy for the Net Entertainment rules. 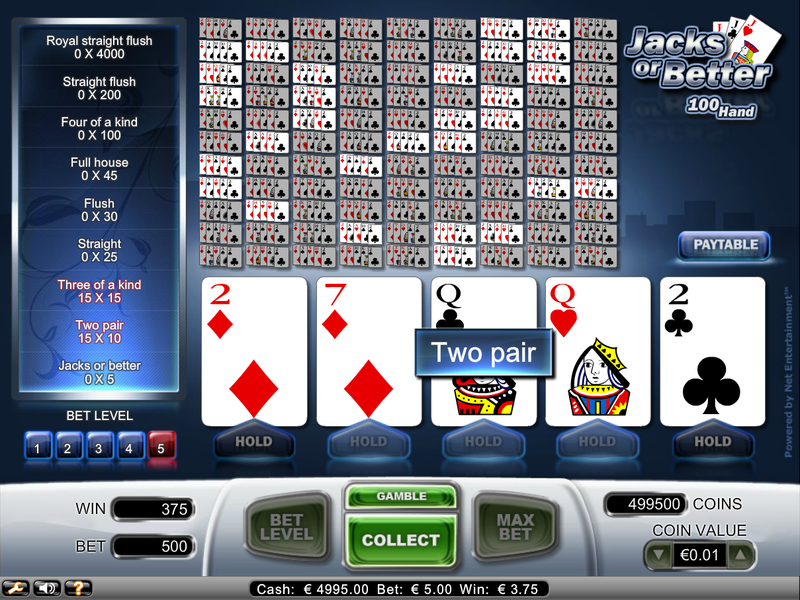 Double Jack is a side bet available in the "classic series" version of the software. 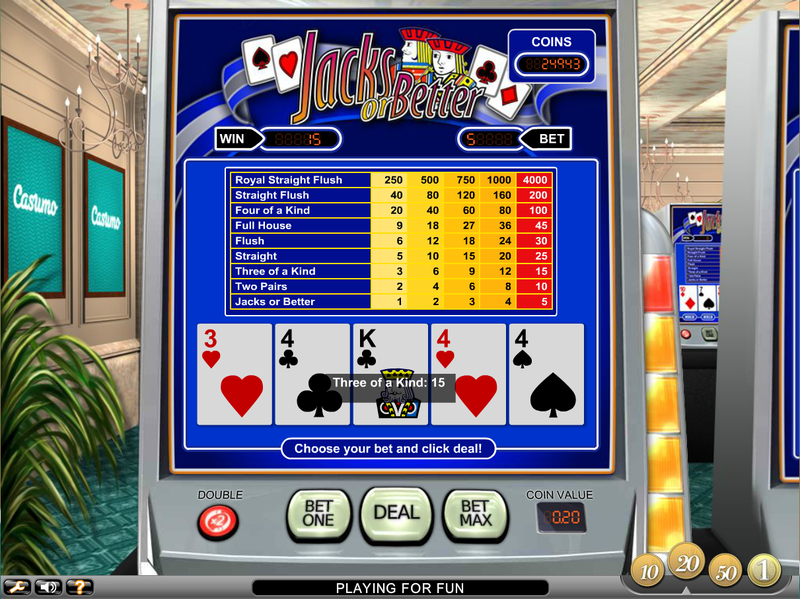 It pays if the first player card is a jack and more if both of them are. Four decks of cards are used. The following return table shows a house edge of 4.93%. The help files claim the return on this game is 99.33%, for a house edge of 0.67%. However, I get a house edge of 1.0%. 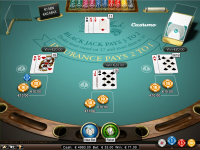 Stanford Wong's Basic Blackjack puts these rules at 0.9%. 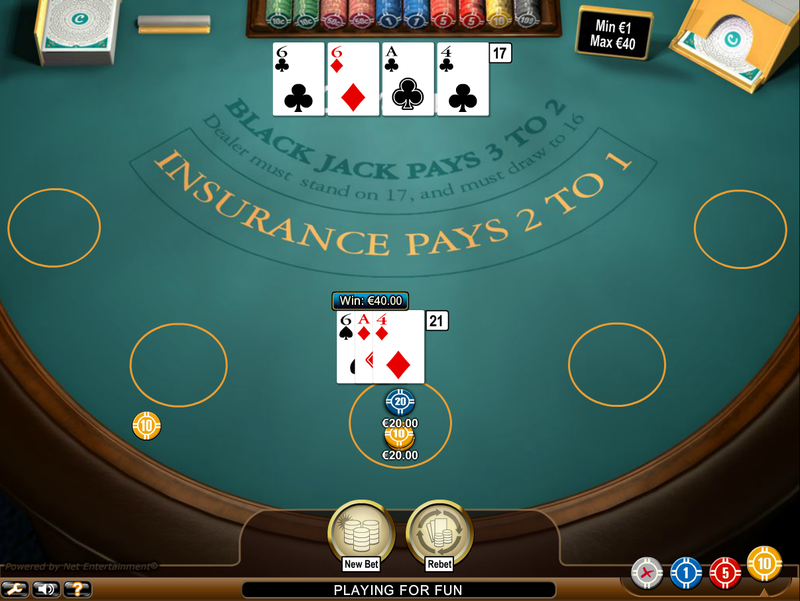 Pontoon is a strange blackjack variant including such rules as a blackjack, known as a "pontoon," pays 2 to 1 and five-card hands outrank those of 2-4 cards, except pontoons, and also pay 2 to 1. To pay for that, ties lose and there is no dealer card exposed. 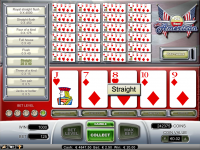 Net Ent follows the RTG rules where the dealer hits on a soft 17 and drawing and re-splitting after splitting aces is allowed. This game should not be confused with Australian pontoon, which is what is called Spanish 21 elsewhere. The help files claim the return on this game is 99.66%, for a house edge of 0.34%. However, I get a house edge of 0.38%. Close enough. 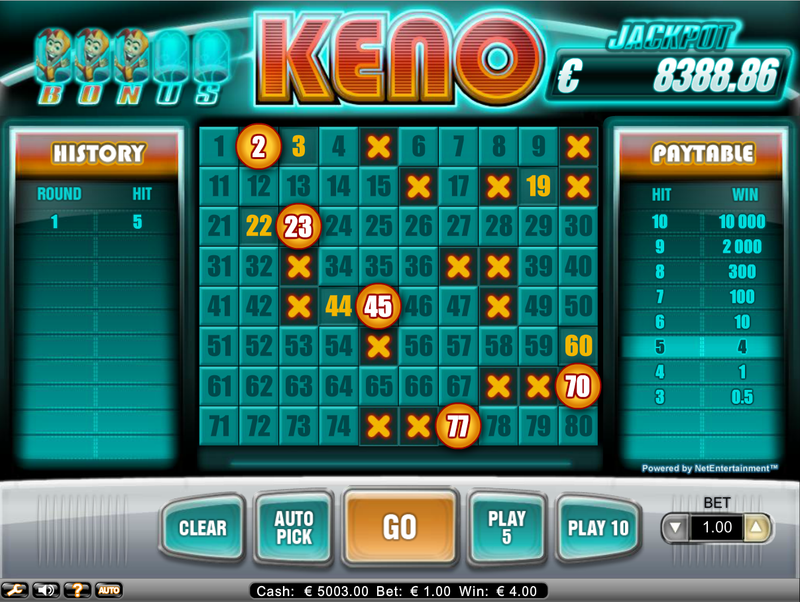 Bonus Keno plays like regular bingo with a couple extra features tacked on. Here are the rules. The player picks 2 to 10 numbers from the range of 1 to 80. 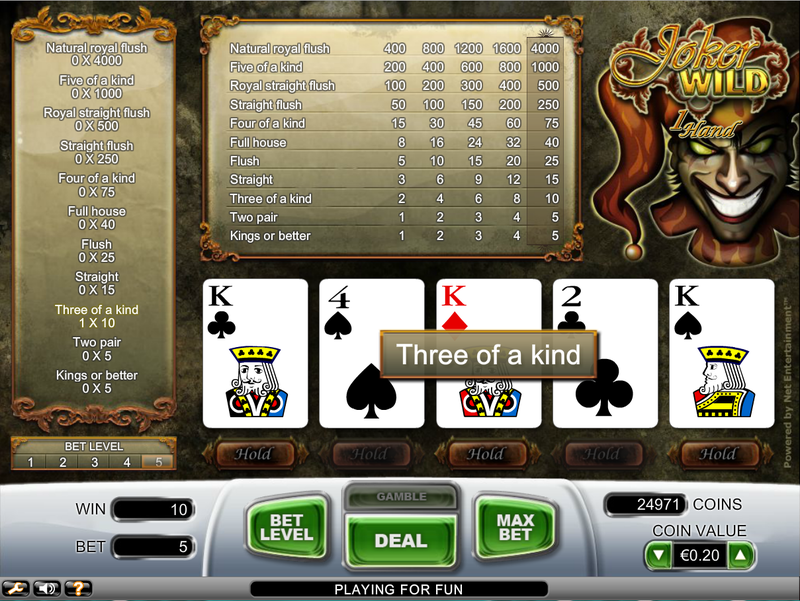 The game will sometimes place a joker behind one of the unpicked numbers. This probability is not stated in the rules, but based on personal experience seems to be about 1 in 3. 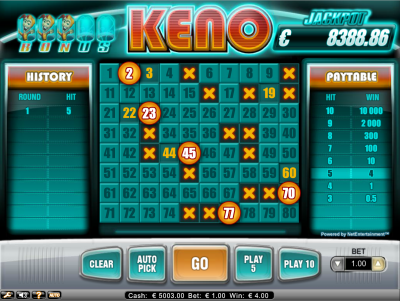 As in regular keno, the game draws 20 numbers at random and the player is paid according to the number that match his own picks. If one of the 20 numbers drawn by the game matches results in uncovering a joker. then a bonus countdown will be incremented by one. 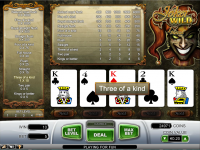 Once five jokers have been found, the player will get a bonus game. 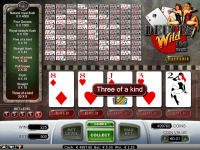 This will consist of one free game where all wins, except the progressive jackpot, are doubled. 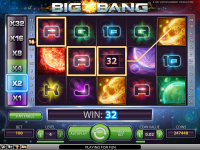 If the 20 balls drawn by the game cover a specific J shape, consisting of the numbers 3, 4, 14, 24, 34, 44, 51, 54, 62, and 63, then the player will win a progressive jackpot. 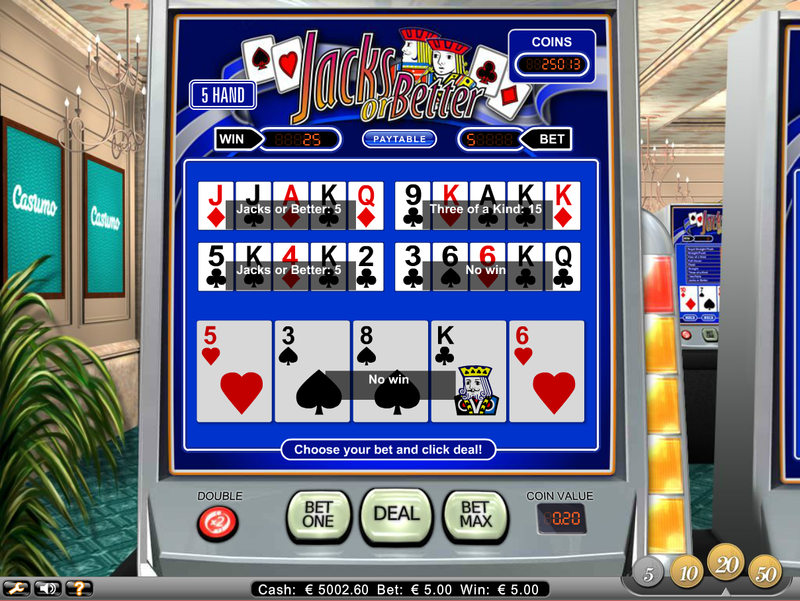 The jackpot shown is based on a full €5 bet. 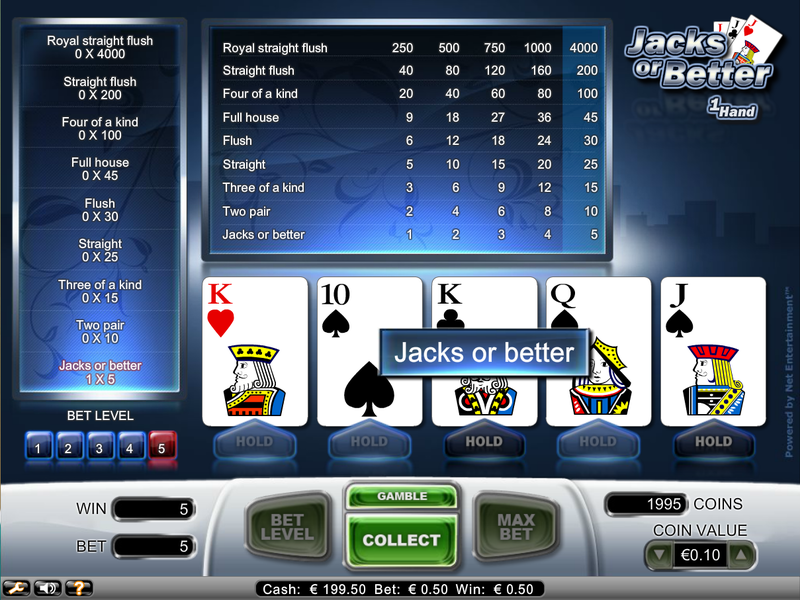 If betting less, and the player covers the J pattern, then the player will win a pro-rated share of the jackpot according to the ratio of his bet and €5. For example, a €2 bet would win 40%. The following table shows the pay table. 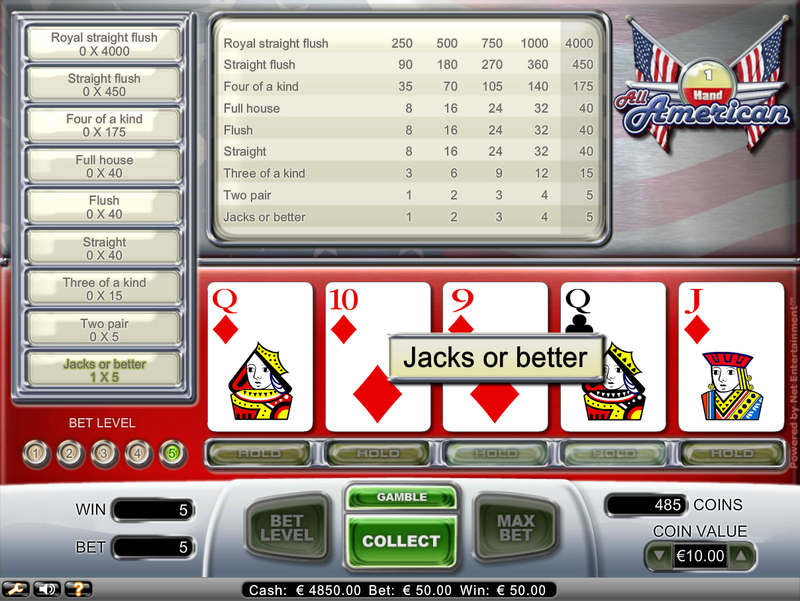 The following table shows the return for each number of picks, before considering the jackpot. 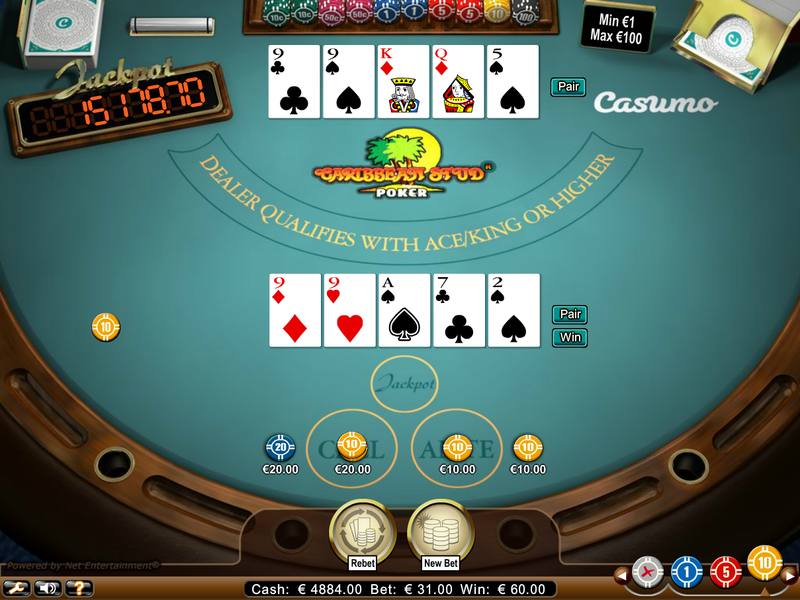 The column for the bonus return is based on 1 in 3 games having a potential joker, which results in a bonus frequency of 1 in 60 games. Note that the best value is on the pick 10. Based on a bonus frequency of 1 in 60, I calculate the probability of a bonus to be 1 in 8,765,618 paid games. 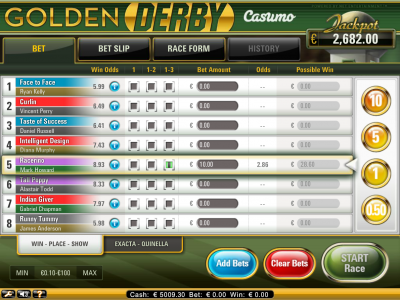 For every €1,000,000 in the meter the return goes up by 2.28%, based on a €5 wager. 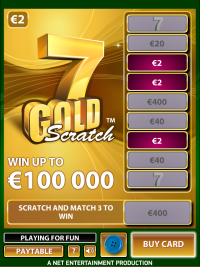 To reach the break-even point on the pick 10 the jackpot would need to reach €6,843,789. As of this writing the jackpot at the Casumo casino is at €8,389, so it may be a long wait. 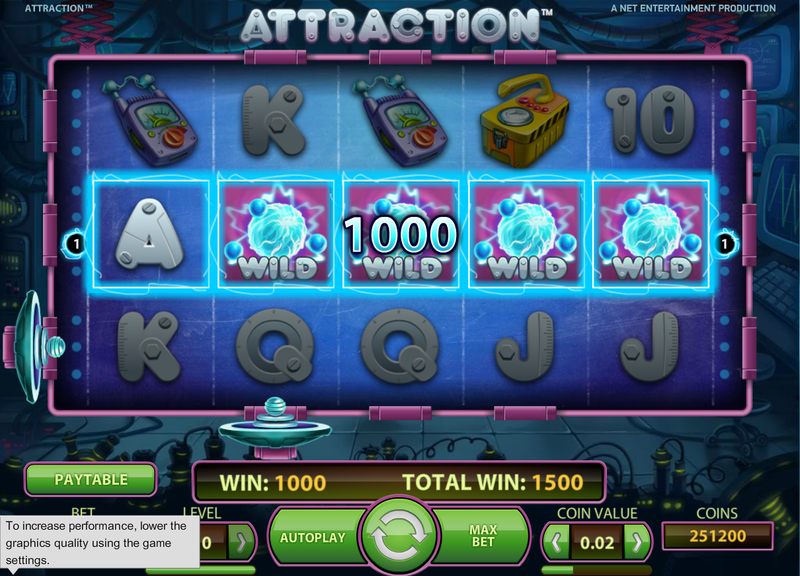 Net Entertainment follows the 1-2-3-10-20-100 pay table for a house edge of 2.16%. For the side bet they follow the 7-25 pay table for a house edge of 6.40%. 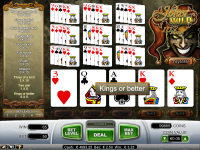 For more information about the game, please see my page on Casino Hold 'Em. 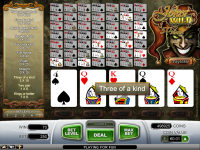 Repeat steps 1 to 3 for multiple bets. There is also another screen for quinella and exacta bets, which are on the first two horses to finish. With a quinella, the two horses can finish in either order. With an exacta, they must finish in the order specified. With any bet made, the player automatically qualifies for a jackpot bet. The way this works is the game gives the player the numbers one to eight in a specified order. 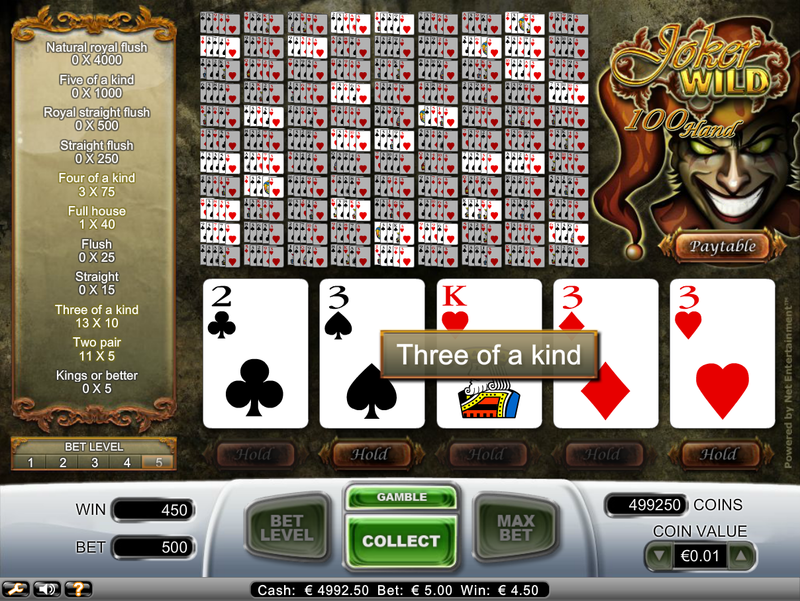 If the horses finish in this exact order then the player wins the jackpot, which was €2,682 at the time of this writing. If six of the eight win in the specified order, then the player gets 10% of the jackpot. 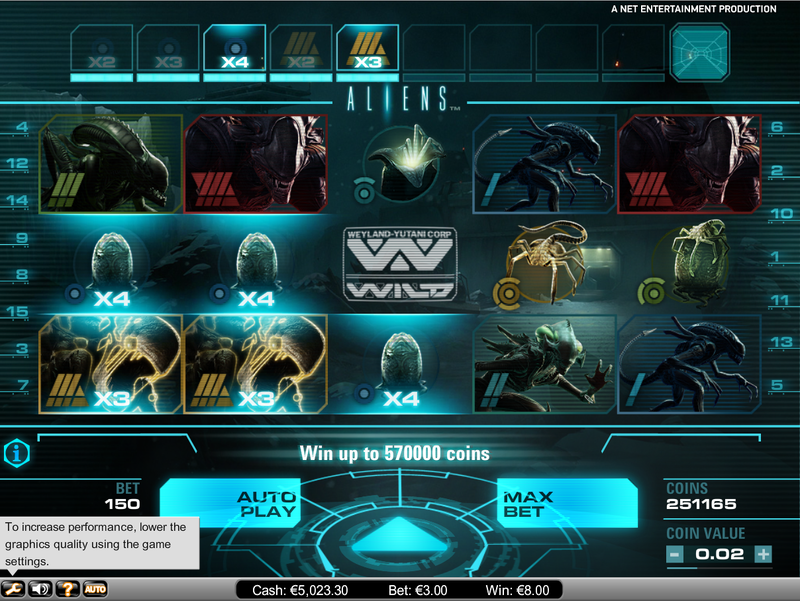 The help screen says the odds of winning the jackpot are somehow correlated to the amount the player wagers. According to the help screen, the return is 93.1%. 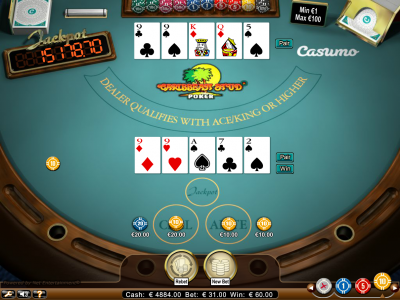 The usual Caribbean Stud Poker rules are followed, except a royal flush pays 200 to 1, instead of the usual 100 to 1. This lowers the house edge from 5.22% to 5.21%. Keep in mind that the house edge is ratio of the expected loss to the original bet. If you factor in the raises, then the ratio of the expected loss to total amount wagered, what I call the Element of Risk, is 2.55%. 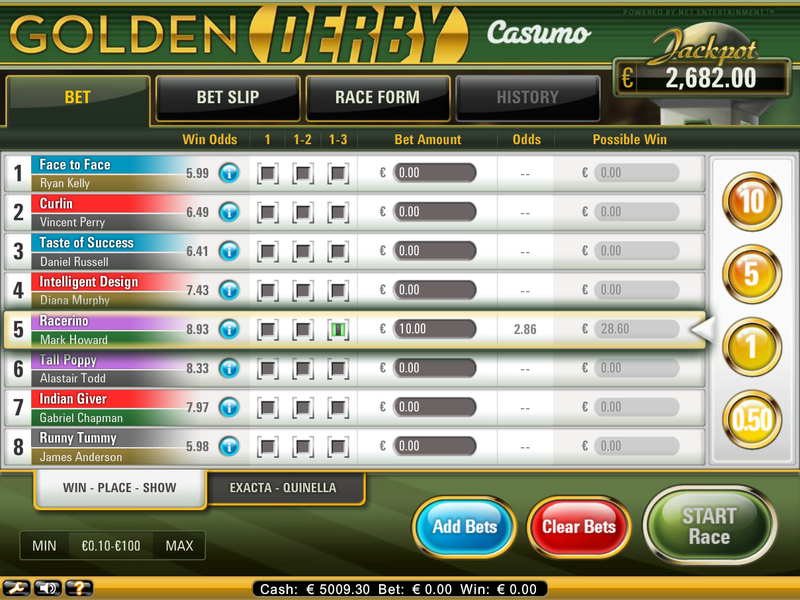 The return for the side bet is 43.27% plus 1.54% for each €10,000 in the meter. 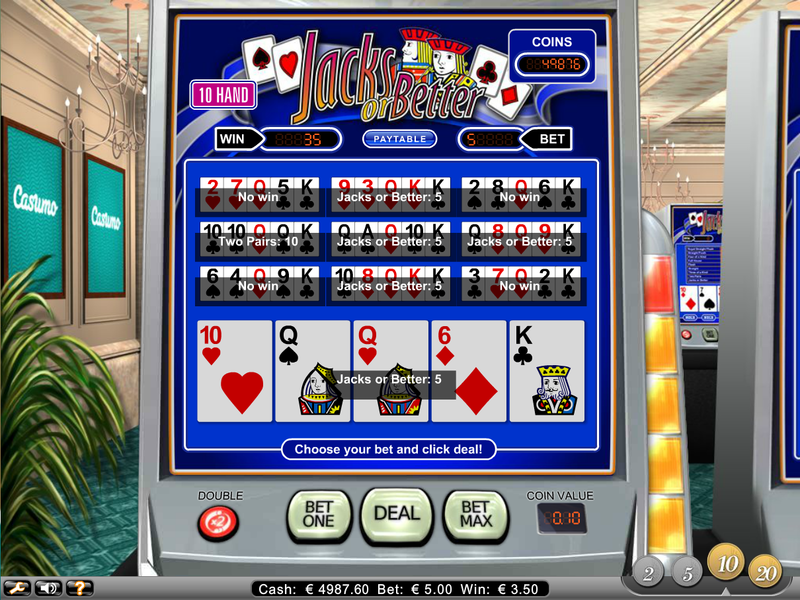 The meter reaches break-even at a jackpot of €368,575. 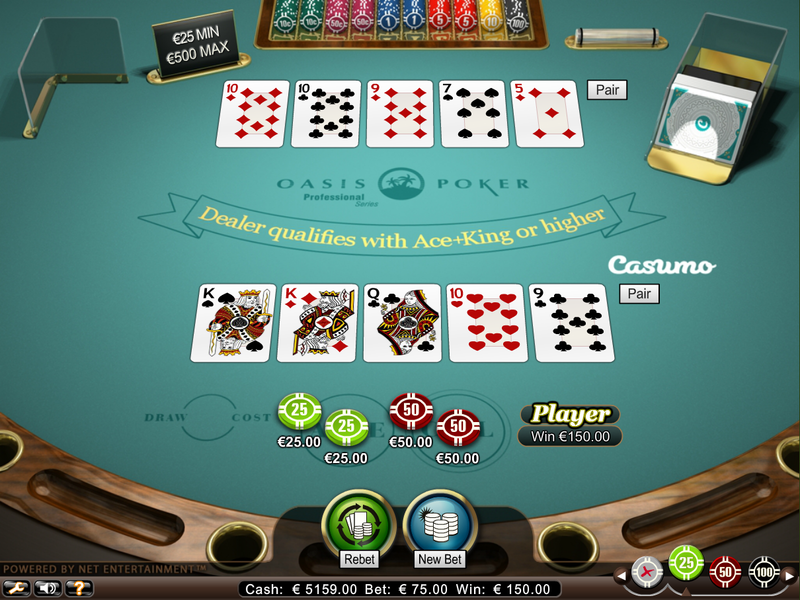 If Oasis Poker is your game, then you're in luck with Net Entertainment. 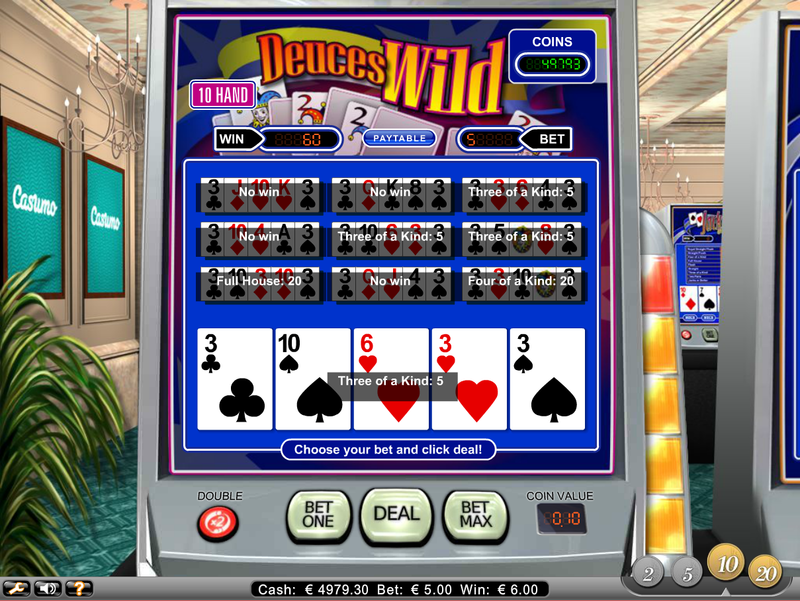 This game is very difficult to find in both land and online casinos. 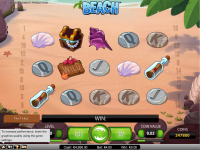 Briefly, the game is like Caribbean Stud Poker, but the player may draw before making the fold/call decision. 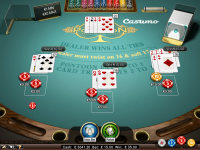 However, the price to draw is equal to the product of the Ante bet and the number of cards drawn. The standard pay table is used, resulting in a house edge of 1.03% and element of risk of 0.48%. It is hard to find a better bet than that. Net Entertainment has got to be one of the few places left to play Red Dog. They use a single deck of cards for a house edge of 3.16%. 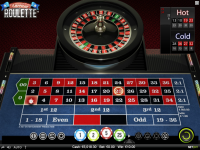 There are a host of ways you can play roulette. 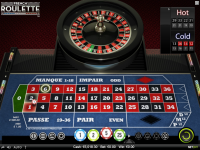 First, you can choose between American, European and French roulette. 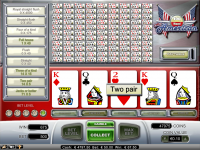 Second, you can choose between two different versions, except with American roulette, which seem to differ only in graphics. 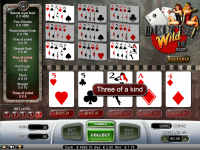 Third, in some cases, you can choose the low, medium or high-limit games. My only advice is to stay away from the American roulette, with the higher house advantage at 5.26%. The European and French games have one zero only, for a house edge of 2.70%. Sorry, but none of these games have the liberal half-back rule on even money bets if the ball lands in zero. 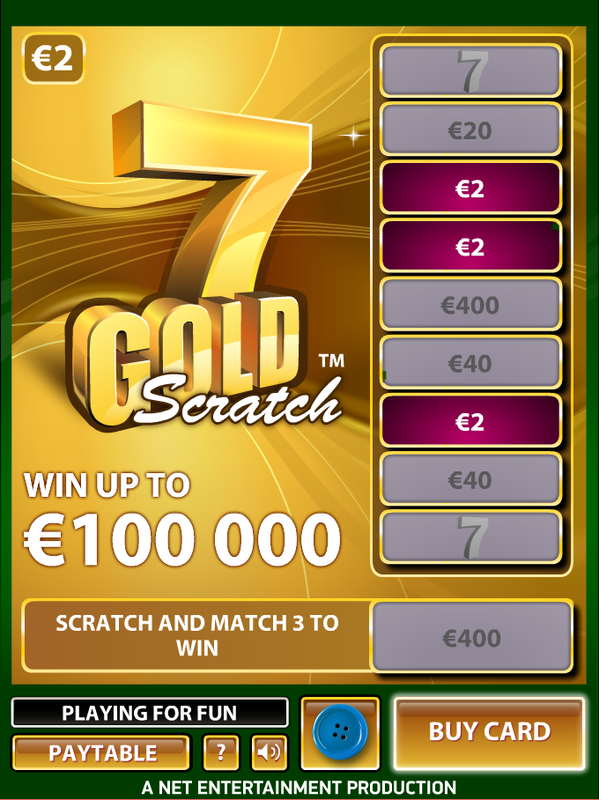 NetEnt players must like scratch cards, because there are a lot to choose from. For those unfamiliar with them, a scratch card is one of many prizes drawn at random. 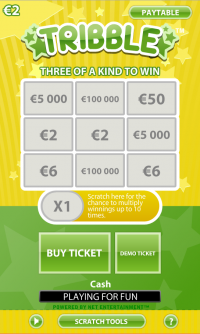 The makers of physical scratch cards will create them in large batches, of 100,000 or so, with a predetermined prize distribution, and sell the entries, one batch at a time. This way there is a guaranteed return to the retailer after each batch. In other words, it is like the biblical process of casting lots. 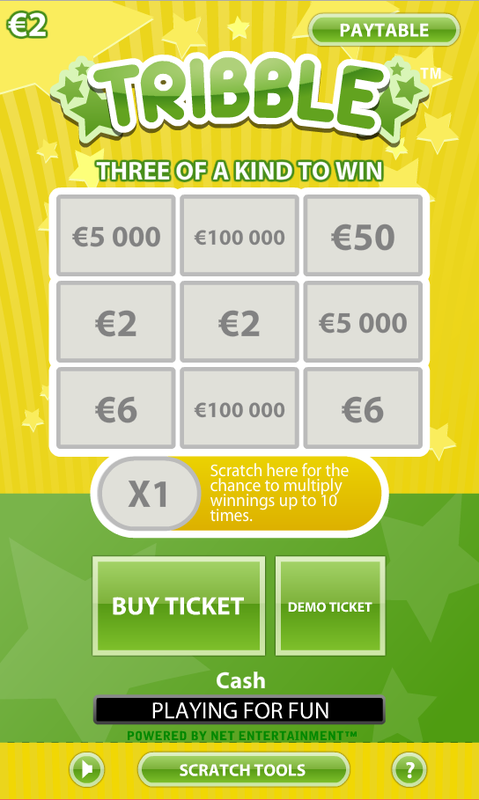 To make it more fun, the ticket doesn't just tell you what you won, but you have to scratch various places to determine your outcome. 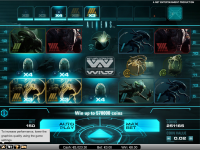 A common format is to have a field of icons to scratch, and if you reveal three of the same thing you win. 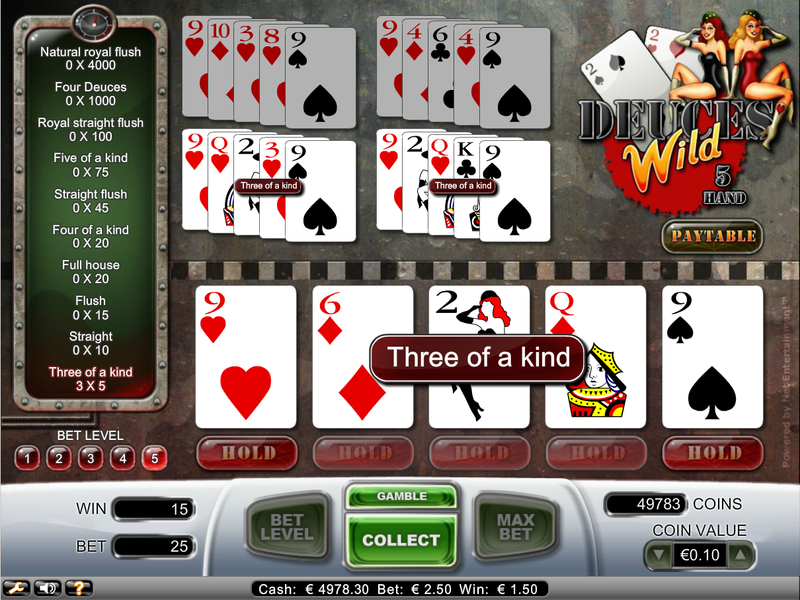 The win is either the monetary amount of the three of a kind or you scratch yet another place to reveal the prize. I'm not sure if NetEnt also creates batches of prizes or if each play is independent. However, the odds are the same either way. NetEnt kindly discloses the return of all their games. You can see it by clicking the question mark in any game. The following table shows the returns of the various scratch card games. I list them in return order. Note the highest return is on Lost Pyramid at 92.0%. 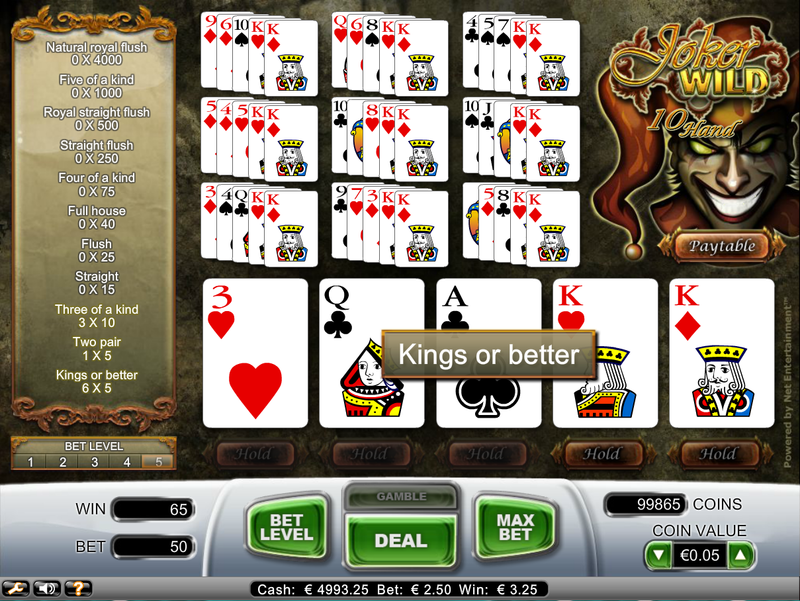 This table does not include Triple Wins High Roller, which is a progressive game, and thus has a variable return. That game is explained in more detail below. 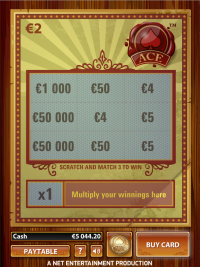 The following table shows the prizes for the Ace game. 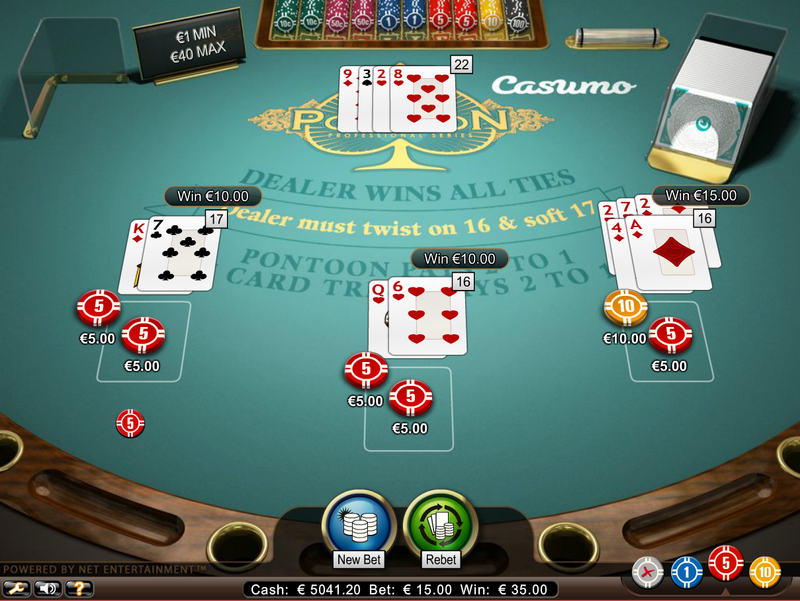 The lower left cell shows a return to player of €1.75. The cost of a ticket is €2, so the expected return is 87.50%. The following table shows the prizes for the Tribble game. 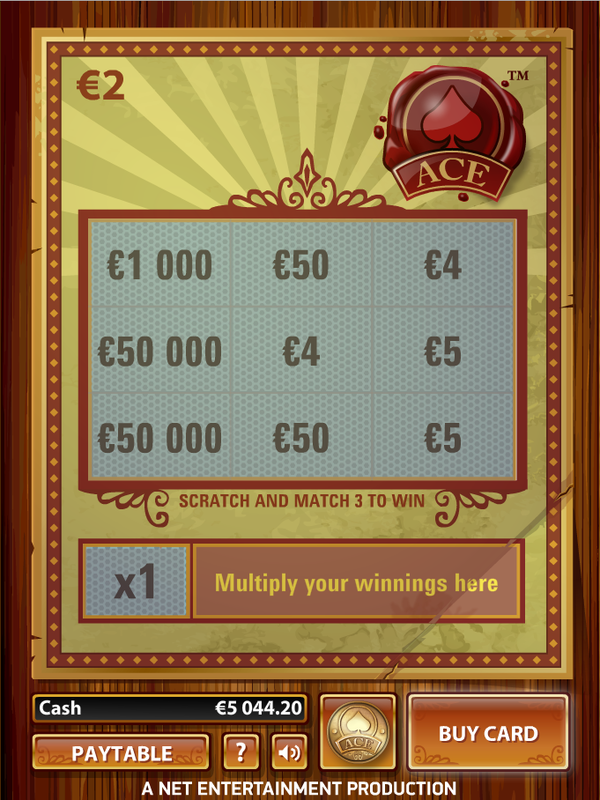 Note that the prizes and distribution are not the same as the Ace game above. 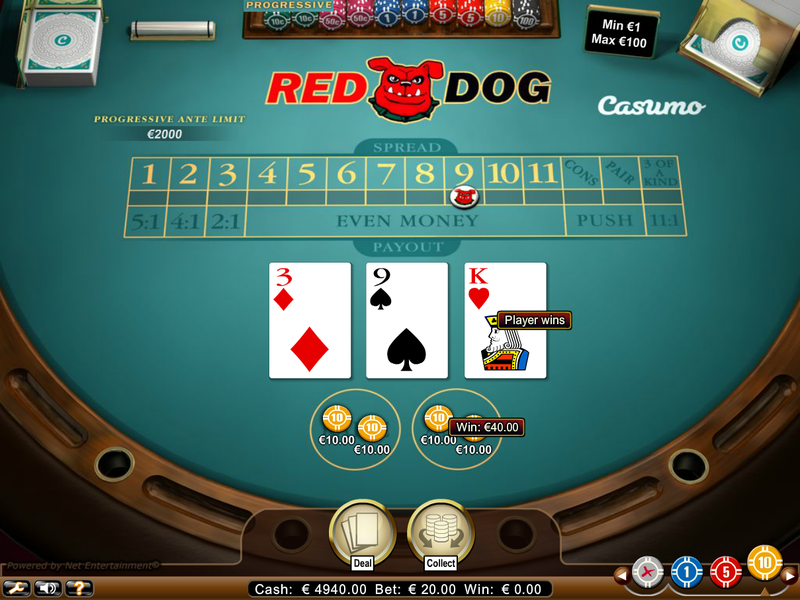 The lower left cell shows a return to player of €1.75. The cost of a ticket is €2, so the expected return is 87.50%. The following table shows the prizes for the Zodiac game. 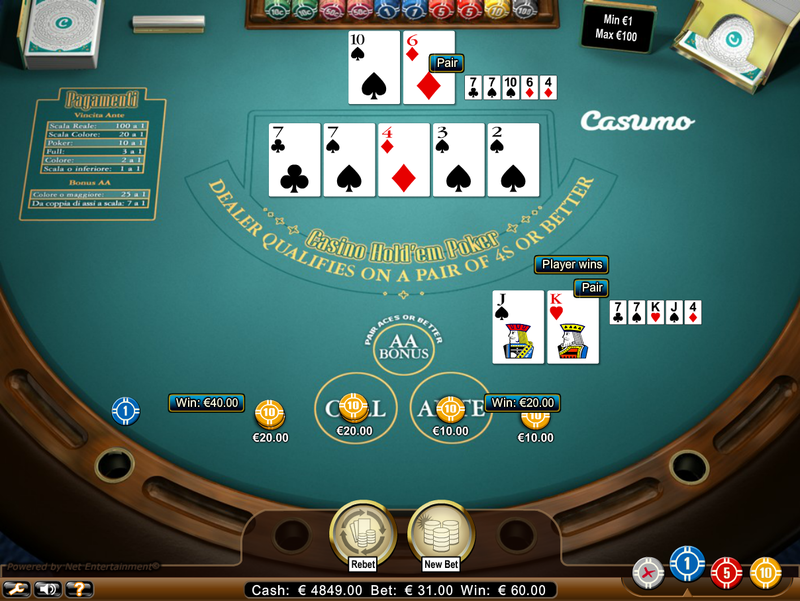 The lower left cell shows a return to player of €1.312. The cost of a ticket is €1.50, so the expected return is 87.50%. The following table shows the prizes for the Marbles game. 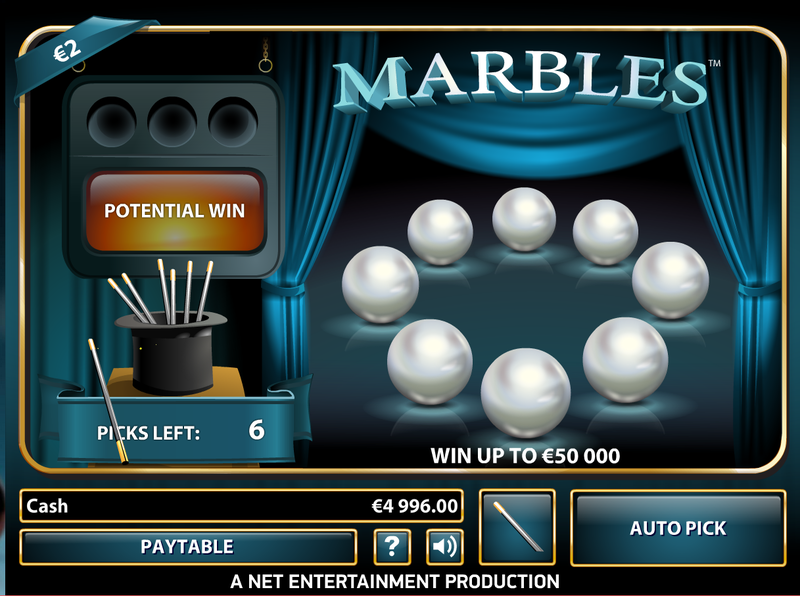 Unlike the other scratch card games above, Marbles comes in two stages. First, the player picks six out of eight marbles, although they look like pearls to me. After picking each one, it will change color to red or golden. Five are red and three are golden. If the player finds all three golden marbles in his six picks, then he will get one of the prizes in the table below. The probability of finding the three gold marbles is 35.7143%. 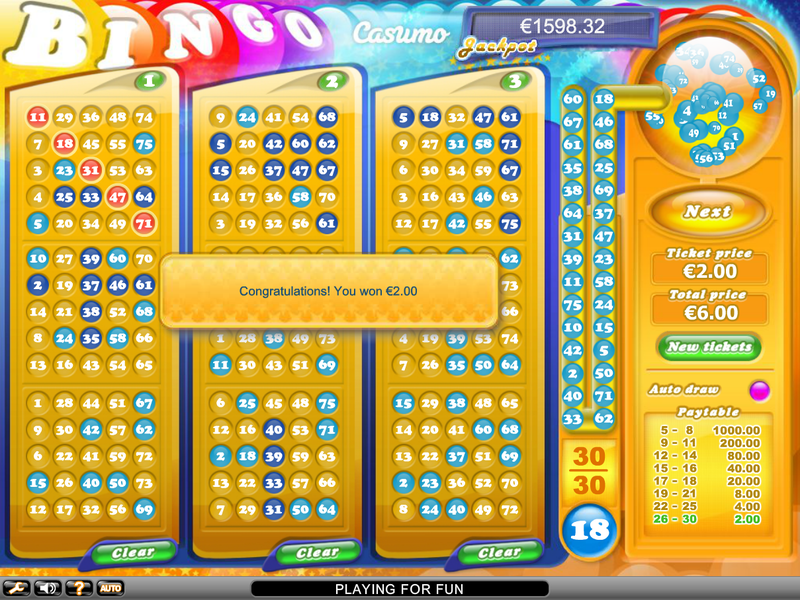 The lower right cell in the table shows the average prize is €5.056878. So, the expected win is 0.357143 × €5.056878 = €1.81. 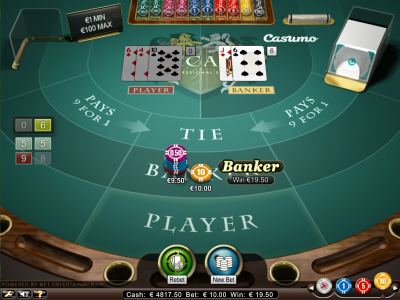 It costs €2 to play, so the expected return is €1.81/€2 = 90.3%. The following table shows the possible prizes in the Marbles game, assuming the player does find the three golden marbles. Triple Wins Jackpot sets itself apart with a progressive jackpot. The bet amount is €2 and fixed wins return €1.634, for a fixed win return rate of 81.7%. For each €20,000 in the meter, the return goes up by 1%. To reach break-even (zero house edge), the meter would need to be €366,000. At the time of this writing, it was at €31,905. According to the rules, the average return is 87.5%. A good argument could be made that Lost Pyramid isn't a scratch card game because the prizes are not created in predetermined batches. Rather, the player is in complete control of his own destiny. However, I'll put it in the scratch card category anyway, because the the player experience is much the same. In the game there is a pyramid of 36 bricks, including seven hidden golden ones. 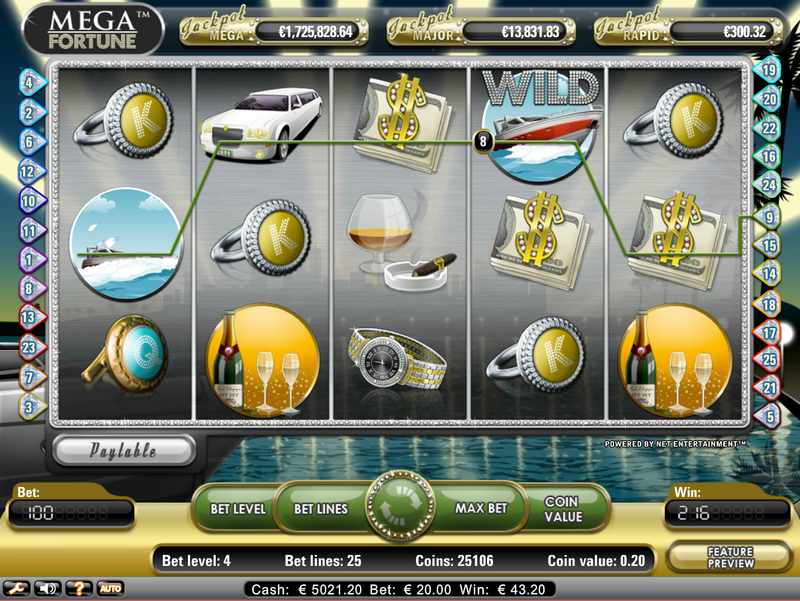 The player picks seven of them and win according to how many golden bricks he finds. The follow table shows the probability and return. The lower right cell shows a return of 91.95%.There is a pyramid of 36 bricks in the game, including seven hidden golden ones. 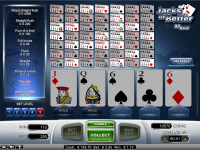 The player picks seven of them and wins according to how many golden bricks he finds. The following table shows the probability and return. The lower right cell shows a return of 91.95%. As a second source, I have the following returns of NetEnt slots from a confidential source. 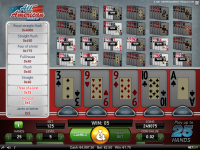 As a third independent source, our friends at Slot Tracker have crowd sourced their users to get an overall average of Net Ent slots. Over 3,044,833 reported Net Ent spins, they report an overall return of 95.44%. 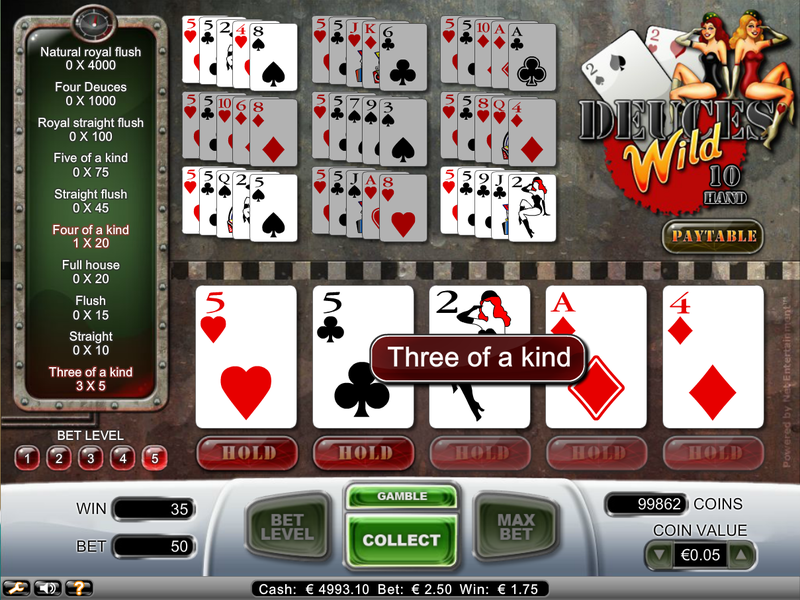 This is the same game as Texas Hold 'Em Bonus. Net Entertainment follows the liberal Las Vegas version of the rules for a house edge of 2.04% and element of risk of 0.53%. Why they had to drop the vowels from Texas in the title, I have no idea. 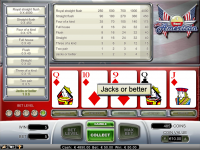 Net Ent has four video poker games to choose from, as shown in the following table, listed in return order. 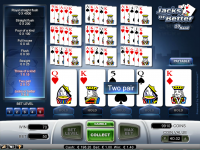 While there are four games only, you can play them 1, 5, 10, 25, 50 or 100 hands at a time. 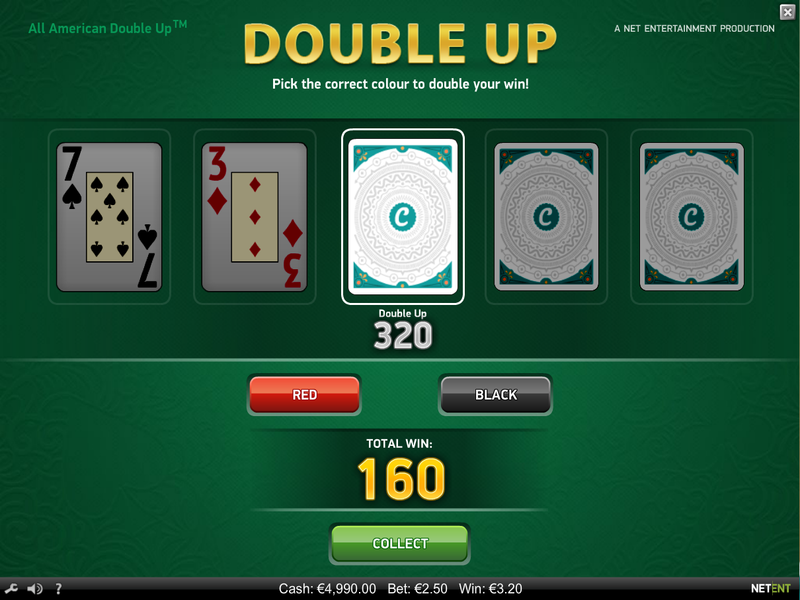 With some of the games, you can choose to play a double or nothing game after every win or not. 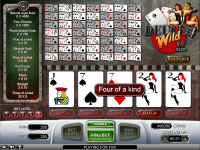 There is a wide range of denominations you can play. 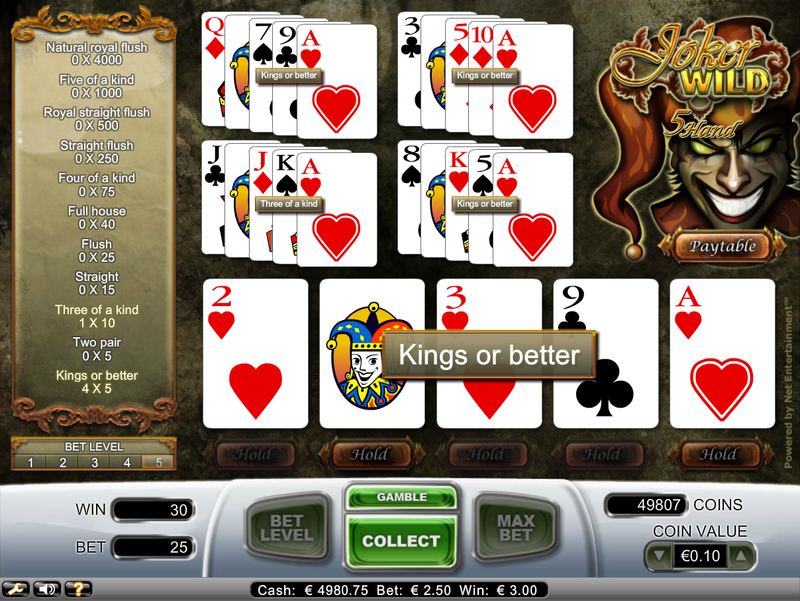 For example, in single-play it ranges from €0.1 to €10, while in 100-play the range is from €0.01 to €0.1. 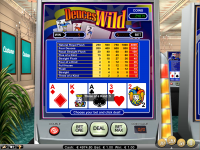 Following are more comments about each video poker game. Net Entertainment has an unorthodox return table in Jacks or Better that pays only 40 for a straight flush and 20 for a four of a kind. The standard pays are 50 and 25. Otherwise, they follow the standard 9-6 pay table. 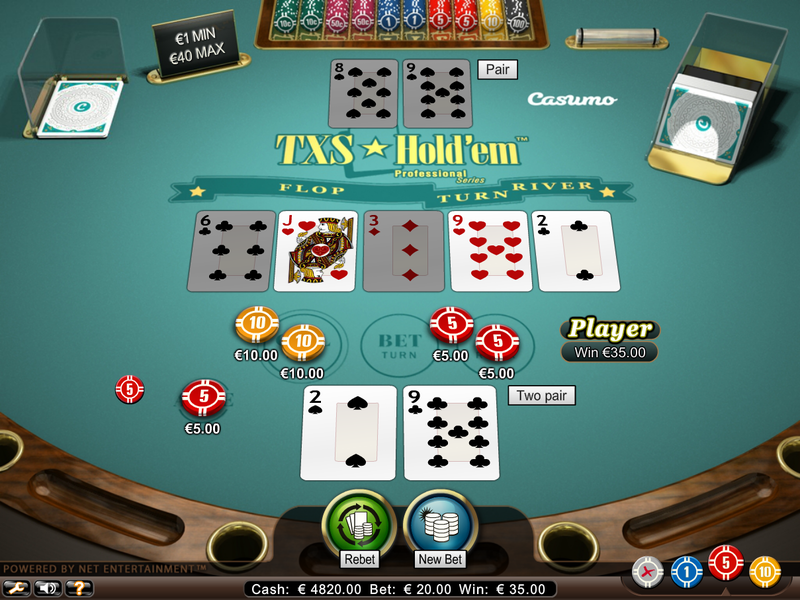 The player may play 1, 5, 10, 25, 50 or 100 hands. Following is the complete return table. The lower right cell shows a return of 99.56%. You can play Jacks or Better in two modes. 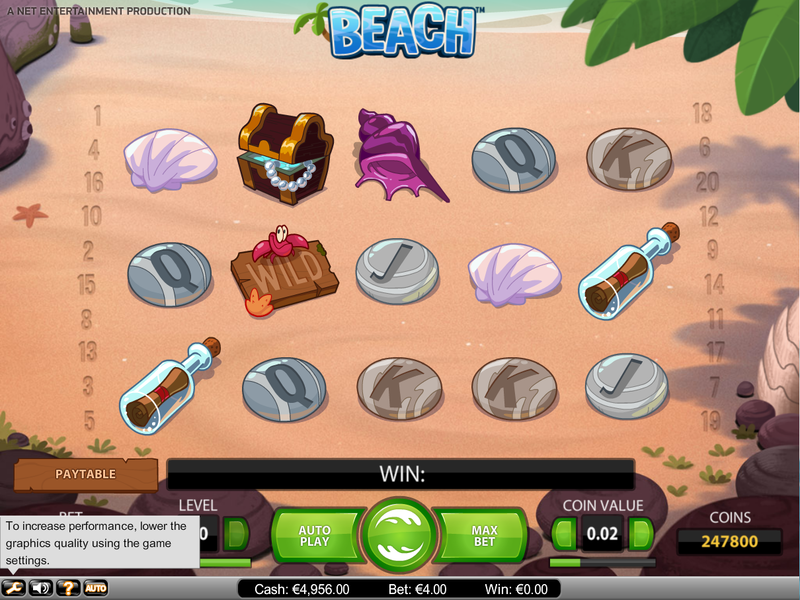 The following screenshots show the "classic" mode, which can be played in 1-, 5-, and 10-play. 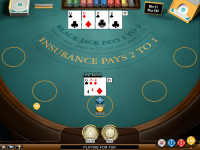 You can play Jacks or Better in the "professional series." 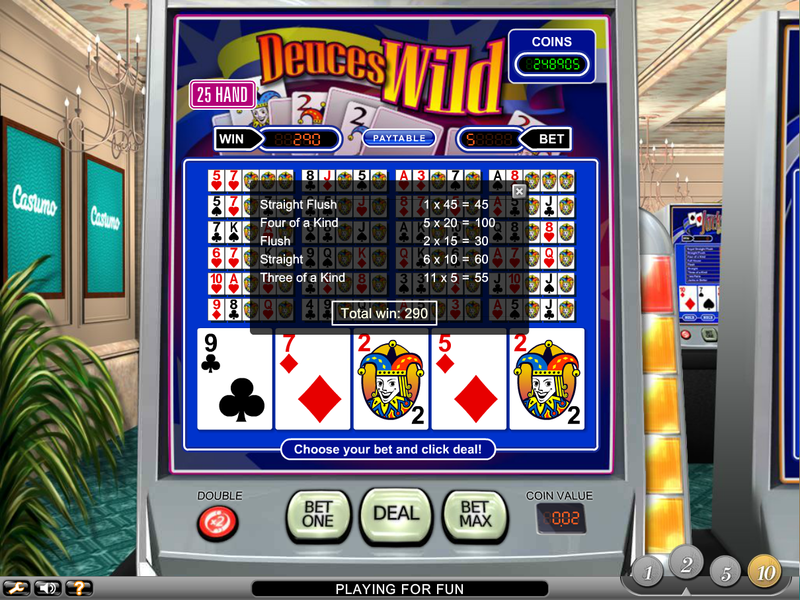 The following screenshots show this look in 1-, 10-, 25-, 50- and 100-play..
Net Entertainment has what is normally a common deuces wild pay table, except instead of 25 for a wild royal flush they pay 20 only. Following is the complete return table. The lower right cell shows a return of 97.97%. You can play in "classic" mode in 1-, 10-, 25-, and 50-play. 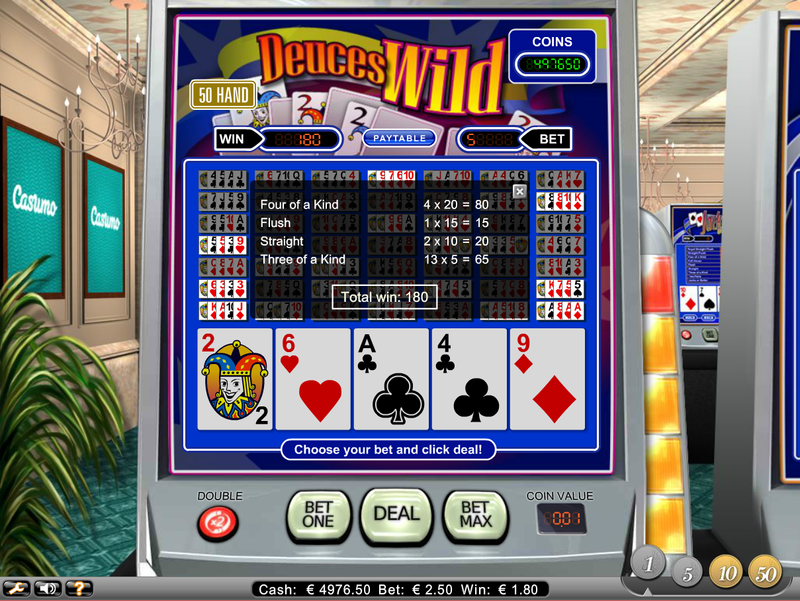 You can also play deuces wild in the "professional series." 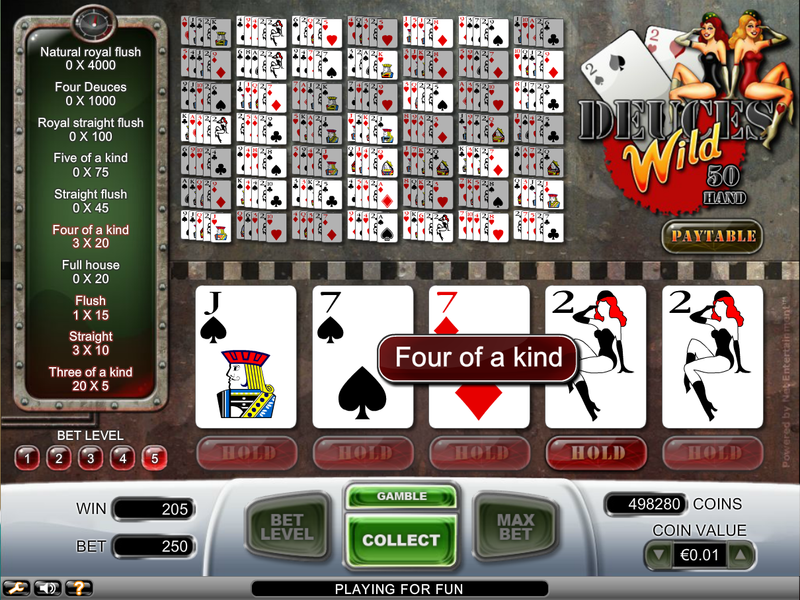 The following screenshots show this look in 1-, 5-, 10-, 25-, 50- and 100-play.. 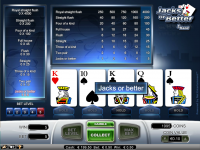 Following is the complete return table for Joker Poker. The lower right cell shows a return of 97.95%. You can play in 1-, 5- 10-, 25-, 50-, and 100-play. 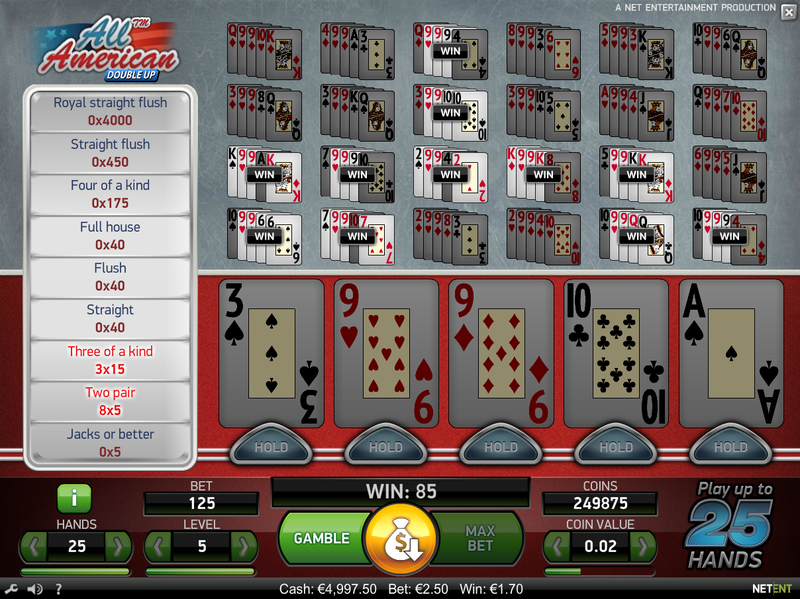 All American is available in 1-, 5-, 10-, 25-, 50-, and 100-play. The return table below shows a return of 98.11%. 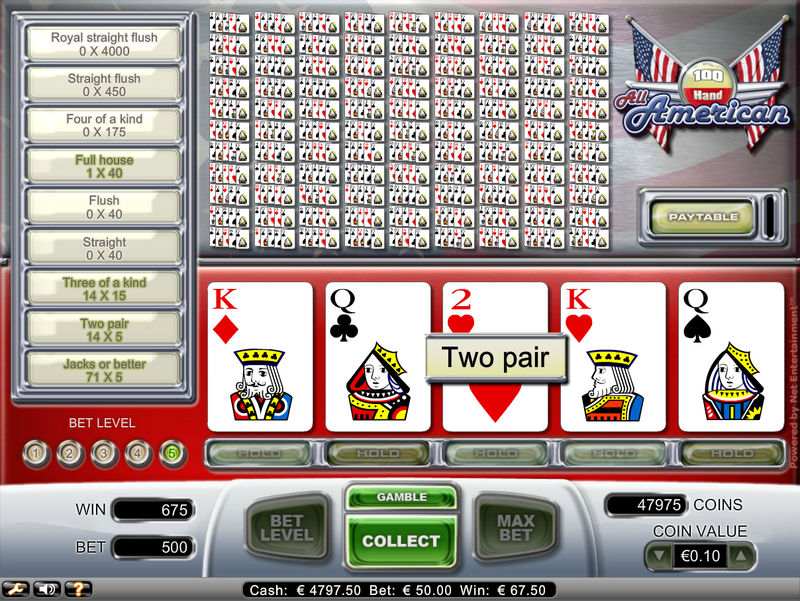 The player can also play All American "Double Up." In this game, the player can choose 1, 5, 10 or 25 hands. 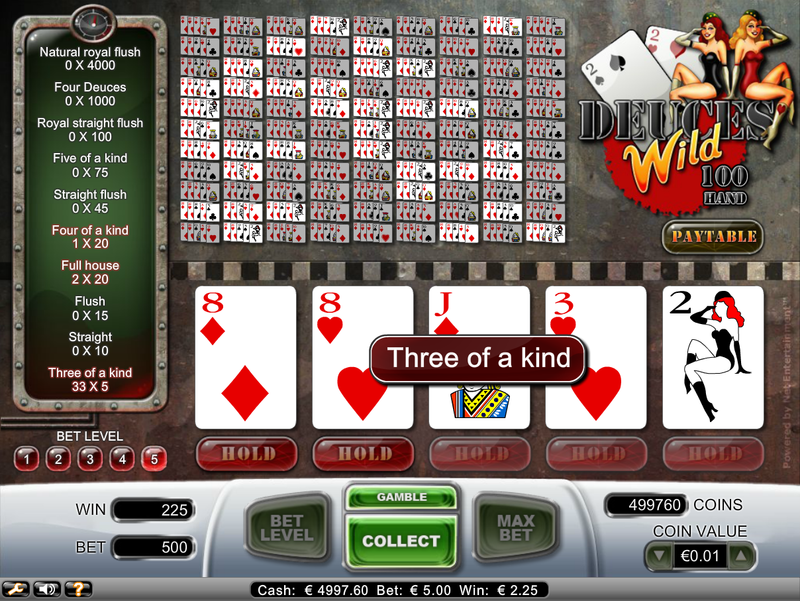 After any win, the player may double up to five times. 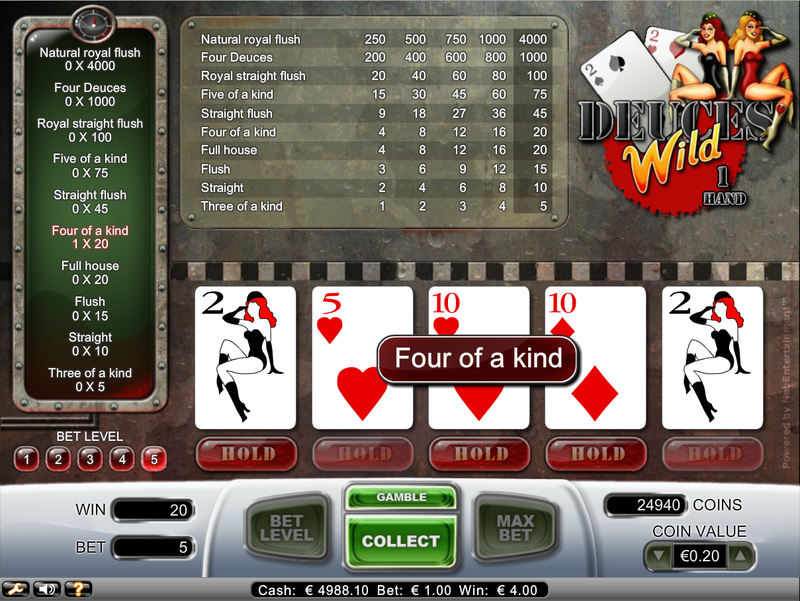 In the double feature, five cards are laid out and the player bets on them one at a time until he loses or cashes out. I wondered if these cards were dealt from a single deck without replacement. 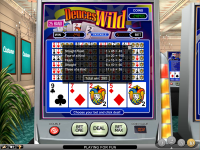 The rules just say, "At the top of a new screen, 5 cards are dealt face down from left to right." If the same card can't be dealt twice, then the player could increase his return by betting on the color in the minority of exposed cards. For example, if the first card exposed was red, then if my theory was right, then the next card would have a 26/51 = 50.98% chance of being black. So, I played it a while and saw the same card twice in the same set of five cards. Thus, my theory was disproven and there is no additional advantage to be had in the double game. The casino as Casumo has a live dealer option. This is evidently a NetEnt product as the screen says "A Net Entertainment production" as you wait a few seconds to establish a connection to wherever the live dealers are. I found the dealers to be friendly and chatty. Unlike other live dealer places I've played, the dealers seemed to know some of the players and joked around as they spoke about topics not directly related to the game. Following are some comments about each game. 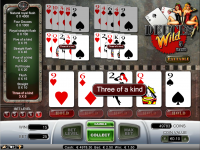 This is a game where all players act against the same initial hand. 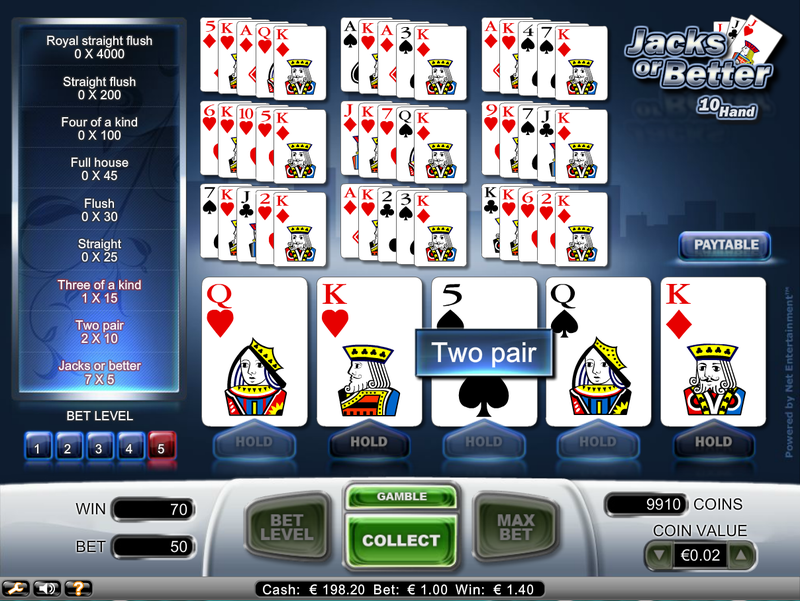 For example, suppose the hand was a player 12 against a dealer 2. If some players choose to stand and others hit, then those who hit will get the next card and those who don't won't. Thus, the odds are the same as if playing by yourself. No dealer hole card. 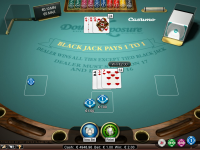 If the player doubles or splits and the dealer gets a blackjack, then the player loses everything. 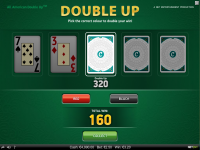 Double on any two cards and after split. 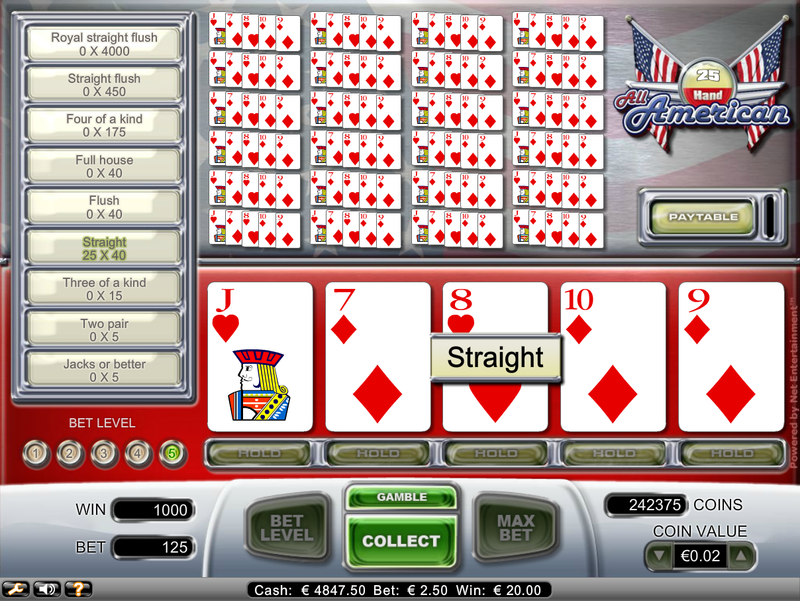 According to my blackjack house edge calculator, the basic strategy house edge is 0.59%. The game rules claim it is 0.50%. I'm not sure if that is because I don't understand the rules correctly or if one of us is in error. The limits are €5 - €10,000. Same rules as the common draw game. Here, each player has his own hand. 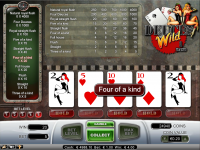 Like any live dealer casino, these games can run pretty slow when each player gets a hand. The limits are €20 - €2,000. This game has a single-zero wheel for a house edge of 2.70%. The dealer is mostly there to spin the ball and chat with the players. The limits are €1 - €75,000. 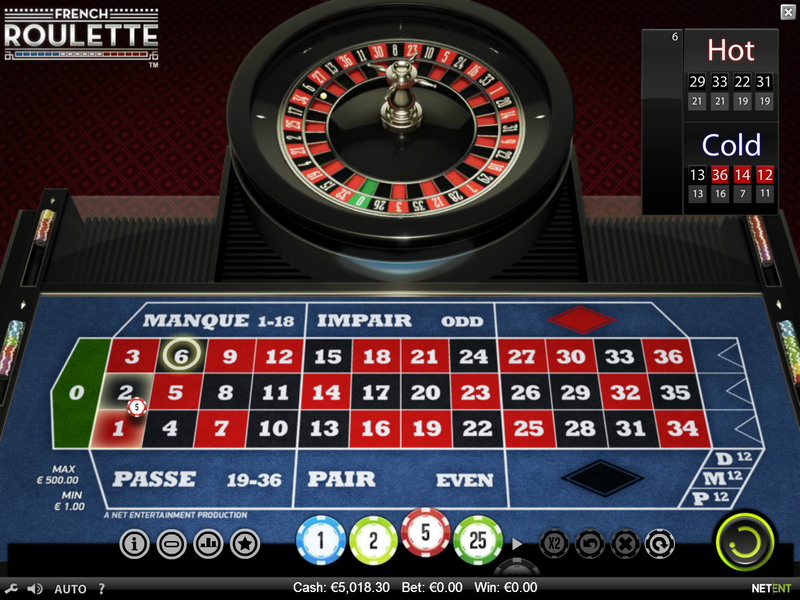 This game has a live single-zero roulette wheel but no dealer to be seen. The limits are €1 - €20,000.